You’re sitting at home one afternoon, three weeks prior to the start of Open Enrollment, when you get a call from a friendly Centers for Medicare and Medicaid Services (CMS) employee. The caller tells you that Medicare is issuing new cards, and that you need to provide your Medicare number in order to receive yours. The catch? The caller doesn’t work for CMS, and he’s actually trying to steal your identity. Elder abuse in the Digital Age is a serious problem—studies have shown that 2 in 10 older adults have been financially exploited. 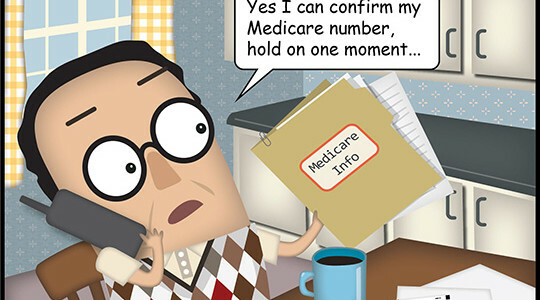 Read on for five key tips on avoiding common types of Medicare scams. 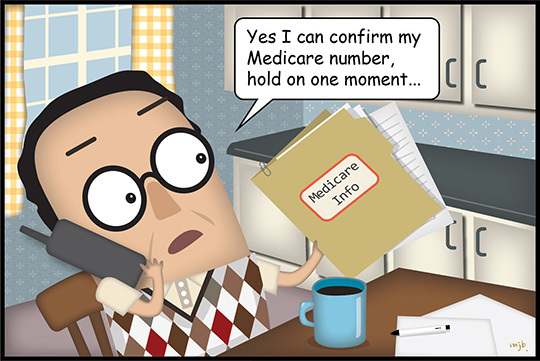 Identity theft happens frequently under the guise of Medicare, as in the example above. Someone pretending to work for Medicare may contact you and tell you they need your personal information in order to update your forms, but they’re actually looking for a way to steal your identity—i.e. your savings. A legitimate Medicare employee would never ask for your personal information over phone or email—they already have it on file. Medicare fraud happens when Medicare is billed for services or supplies you never got. Examples include a healthcare provider billing Medicare for care you didn’t receive, or someone using your Medicare card to acquire medical care for themselves—or bill for fake services and then pocket the money. If you suspect that Medicare is being charged for a service you didn’t ask for (or you don’t recognize the provider on the claim) you can call the federal government’s official Medicare hotline at 1-800-MEDICARE. You can also learn more here. Improper care does not qualify as Medicare fraud, although it is still something to be monitored and reported. Your Beneficiary and Family Centered Care Quality Improvement Organization (BFCC-QIO) can help you if you want to file a complaint about the quality of your medical care.